Human capital management applications cover a lot of ground — from benefits administration to talent acquisition. This report summary will help you get started in your evaluation process, with user reviews based on product features and satisfaction as well as vendor experience and capabilities. Not long ago, workers were personnel. Then, sometime in ‘80s, they became human resources. Today employees are often referred to as human capital. And it's not just a semantics difference. The term human capital signifies that an employee's value can be measured and increased through investments in training, benefits, compensation and so on. (For example, the Society of Human Resources Management offers reports benchmarking human capital.). And, of course, as the value an organization places on its workers grows, the software to manage HR functions and human capital has evolved as well. Today, you’ll see both human resource information systems (HRIS) and human capital management (HCM) systems sold by a variety of both familiar names and pure-play vendors. Whether called HRIS or HCM, they arguably provide similar functions that are either part of, or integrated with, ERP software and go well beyond handling hiring, firings, payroll and benefits. HCM software, for example, often provides mobile access to data for employees, collaboration capabilities and other self-service features. Become an Insider member and download this report based on nearly 700 reviews of human capital management software. There are two primary reasons that being able to better communicate with and manage workers has become increasingly important. First, providing information on training, advancement, benefits and company policies is a way to attract talent and keep employees engaged and content. Second, better access to HR information and integration with other enterprise systems saves times and money. The growing demand for better applications for both employers and employees has created opportunities for both familiar names such as ADP, SAP and Oracle as well as emerging companies such as Workday and Ultipro. Human capital management applications cover a lot of ground. Features includes benefits administration, compensation management, employee record, learning and professional development, payroll administration, performance management, position management, talent acquisition and management, time and attendance, and workforce planning, among other capabilities. Info-Tech Research Group and its user-generated reviews subsidiary SoftwareReviews.com has created of directory of more than 40 vendors that offer human capital management software to get you started in the evaluation process. Of those 40 products, Info-Tech places seven in its Data Quadrant based on product features and satisfaction as well as vendor experience and capabilities. 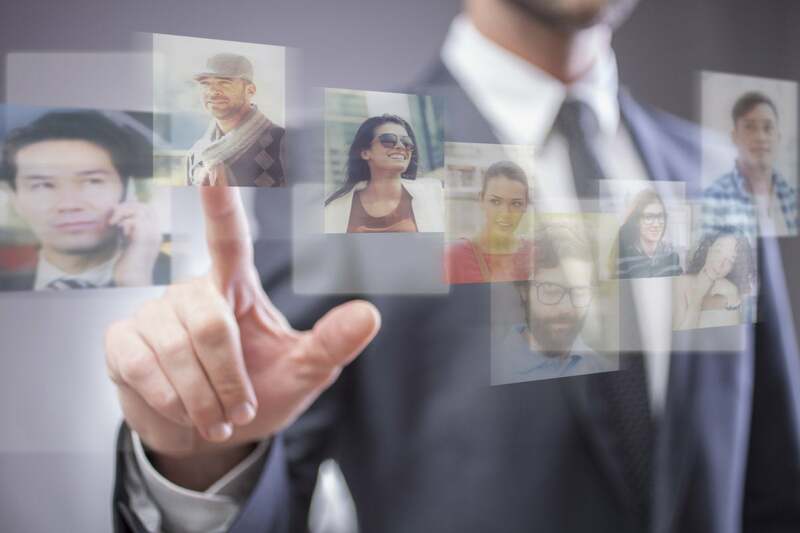 The placements draw on feedback from nearly 700 user-generated reviews of these seven products: ADP HR Solutions, Ceridian Dayforce HCM, Kronos, Oracle PeopleSoft HCM, SAP SuccessFactors, UltiPro and Workday Human Capital Management. “The Software Reviews Data Quadrant evaluates and ranks products based on feedback from IT and business professionals. The placement of a software in the Data Quadrant indicates its relative ranking as well as its categorization,” according Info-Tech. The Human Capital Management Category Report ranks products by giving them a composite satisfaction score that averages four areas: Net Emotional Footprint, Vendor Capabilities, Product Features, and Likeliness to Recommend. (The Net Emotional Footprint Score measures user emotional response ratings of the vendor (e.g. trustworthy, respectful, fair). 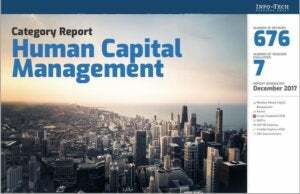 Register now to download the summary of the SoftwareReviews.com Human Capital Management Category Report.